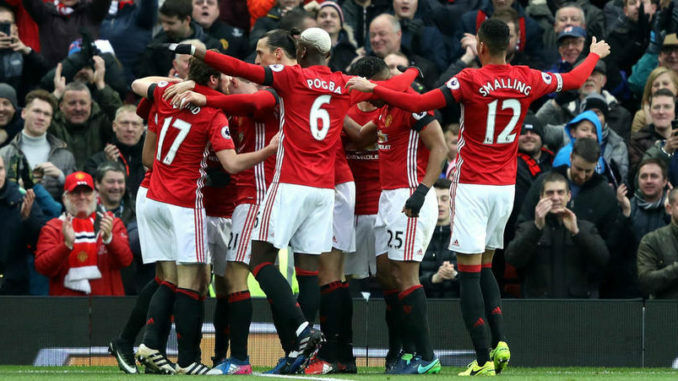 Manchester United will be aiming to return to winning ways in the Premier League when they entertain Crystal Palace this weekend. The Red Devils are currently going through a crisis with several injury doubts but a major selection of those players are expected to return for the weekend encounter. David de Gea remains the undisputed pick between the sticks for United and the Spaniard should undoubtedly feature in goal this weekend. However, at least one change is expected in the backline with Luke Shaw suspended after picking up his fifth yellow card during the Manchester derby. In his absence, Ashley Young could slot into the left side of the defence with club-captain Antonio Valencia likely to take up the right-back position. Meanwhile, the central defensive positions should remain unchanged with Chris Smalling and Victor Lindelof starting together for the seventh game on the bounce across all competitions. Onto the midfield, Nemanja Matic has been ever-present in the Premier League despite his shortcomings of late. Based on Mourinho’s general selection, the Serbian should once more feature in the centre of the park and he could be accompanied by Paul Pogba and Ander Herrera with the former said to have recovered from a thigh problem which saw him miss the cross-town derby before the international break. Further forward, Anthony Martial should once more feature on the left side of the attack after recovering from the knock which hampered his participation with France. However, both Marcus Rashford and Romelu Lukaku remain potential doubts after picking up a knock and hamstring injury respectively on international duty. In their absence, Jesse Lingard could once more feature on the right side of the attack after coming off a good run of form with England with back-to-back stellar goals, including the crunch leveller in the 2-1 comeback win over Croatia. Aside from this, Alexis Sanchez could be tasked to lead the line despite his average form this campaign.